How to improve CTA by means of Plerdy? UP+50% » SEO » How to improve CTA by means of Plerdy? 5 Most Problematic Pages of Your Website. How to Make Them Work For You? Let’s define what CTA is and how we can improve it and increase conversion by means of Plerdy. CTA (call to action) is usually a text message, an image, or else used for inducing a user to take a target action. The main aim of CTA: is to help users make decisions and lead to the target action through the sales funnel. The more visits go through the sales funnel, the higher is the conversion. So, CTA on a website is a button, text, or image, which means its effectiveness can be analyzed by means of a website heatmap. Unlike other analytical tools, Plerdy allows to see causes of users’ behavior. How to analyze CTA by means of Plerdy? Plerdy creates a map based on clicks on a website by means of a script. The minimum time required for analyzing CTAs is 1 month. The optimal time is 3 months and more. It is widely practiced to make CTA as buttons, for example, “Buy”, “Compare”, etc. On the other hand, elements of navigation have a limited space, so, sometimes wider CTAs come as a text, it can be a headline, comment, etc. The window shows all information about clicks on the main website elements. For CTAs in form of a button or banner, it’s necessary to take data from the right column. 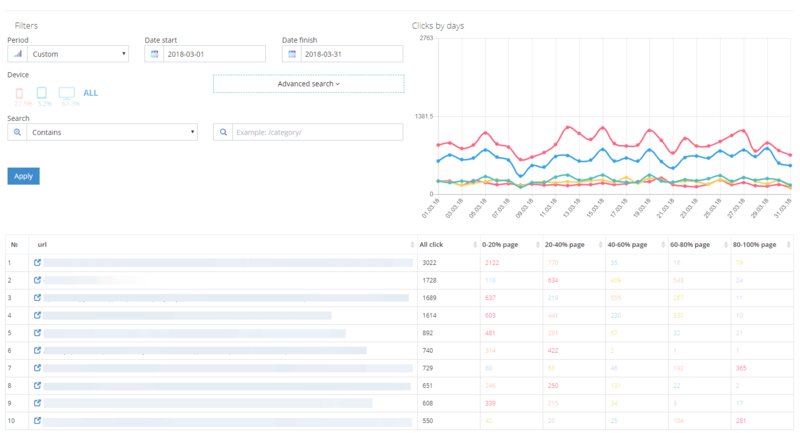 It’s better to analyze text CTAs, selecting pages with a high click rate. The amount of CTAs on a page. The ideal solution is one page with one CTA. A landing page can be an exception since it consists of a few blocks and can have both an offer and an additional consultancy. Unicity of an offer. The smarter the CTA is composed, the higher is the click rate and conversion. An example of a good CTA is: “We guarantee a 30-minutes delivery. Get a 30% discount if the courier is late”. Its main goal is to leave no doubts, convince, induce to an action. Location, contrast, and color. 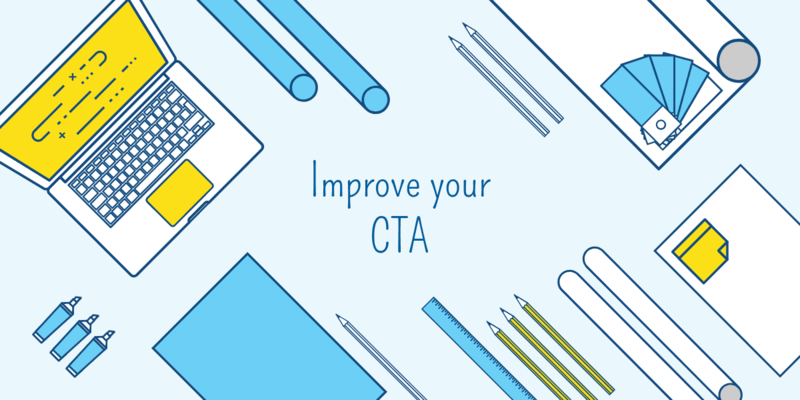 A CTA needs to be noticeable and attract attention. And, of course, factors that influence it should be paid attention to. Buttons usually have a different color, but for text messages, a size also matters. If a CTA is locator in the part where the click rate is low, the conversion will obviously be low too. For the main page, the optimal location is the top part of a website (it can be a banner or a text in the header). In product cards, the location can be the part above the button. Mind that a CTA is not a list of advantages and not a description of features. It’s a text that induces to an action. One of Plerdy’s advantages is that, apart from the overallstatistics, can track clicks on separate elements by putting custom tags. 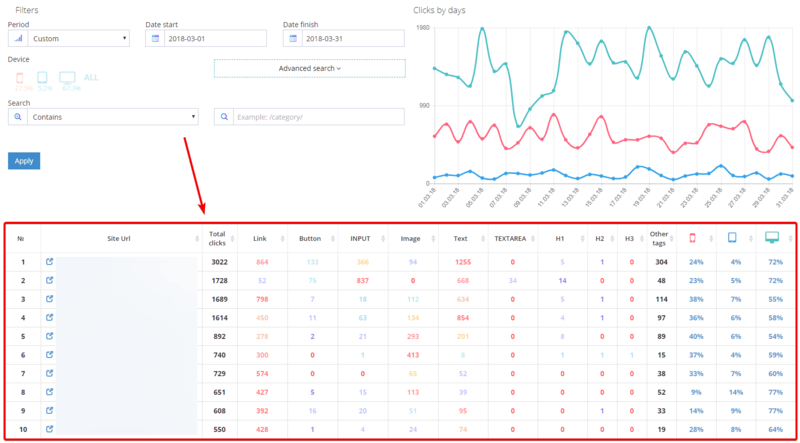 What to do after you find the spots with the highest click rate? For websites having CTAs and low conversion, it is to create new CTAs compare data the heatmap tables during a few weeks. For websites having no CTAs, it is to locate them in the area of users’ attention. How to create a proper CTA? Express thoughts empathically. In other words, to personalize. Usually it’s only about CTA but other texts too. For example, it’s better to write: “Add to your cart” rather than “Add to cart”. Use trigger words. The trigger words increase a click rate on ads (for example, “free”, “discount”, “gift”, etc.). A creative approach will allow to increase a click rate and be remembered. Explain what happens next. A click rate depends also on if user understands what happens after a certain action. For example, instead of a button “Subscribe” it’s better to say “Get a weekly update”. Attention is spread on a page in the shape of letter “F”, from left to right, from up to down. CTAs are focused on users having doubts but interested in the product or service your website offers. A right CTA allows to increase conversion by means of a persuasive appeal to the target audience. Plerdy heatmap and scrollmap help to check effectiveness of a CTA.